Free Music Friday (Belated Edition)! 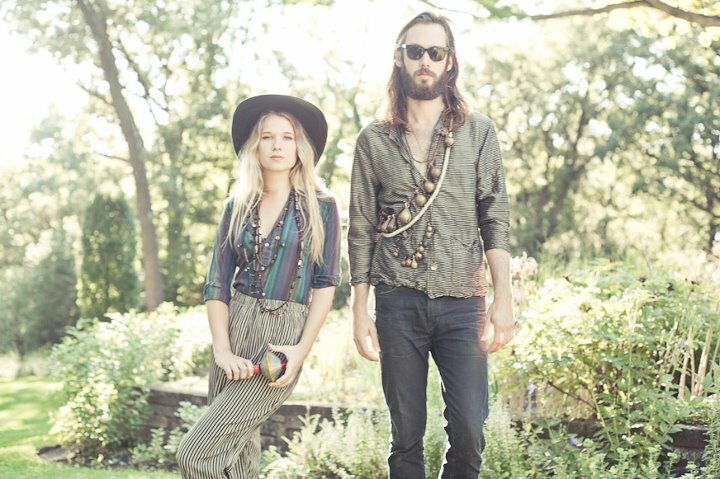 Wild Belle - "Keep You"
Since unleashing their debut single "Keep You" earlier this month, Wild Belle, aka Natalie and Elliot Bergman, have managed to wow folks far and wide with their glistening combination of bold songwriting, studio wizardry and late-night vibes. Growing up in a highly musical family, Natalie would join Elliot on the road with his band NOMO at only 17 years old. Still too young to (legally) get into most of the clubs, she played percussion, sold merch, and occasionally sang a song or two, wowing the audiences and Elliot with her undeniable stage presence and talent. After extensive touring and some well-deserved downtime for NOMO, the two began a long-distance collaboration on what would eventually gel into Wild Belle. Natalie, in Chicago, dreamt up lyrics, banged out drum loops in her bedroom on her glitter-blue drum-kit and layered instrumental tracks on top. Elliot, in Brooklyn, would add to these foundations with kalimba loops, horn lines or some chords on the Hammond b3. Eventually they formed a backdrop for Natalie's striking vocals; stories of love and loss culled from overflowing notebooks or scribbled lyrics on napkins from her waitress job. A sound emerged from their diverse set of shared influences (Helene Smith, Etta James, Francis Bebey, Delroy Wilson, Lauryn Hill, Outkast, Tom Tom Club, Eurythmics), something immediately familiar while strikingly fresh. Their music doesn’t come from a certain place, but sounds like a locale we'd all like to visit this year. The water’s warm, it’s a beautiful night, and there’s a dance party that’s starting just after midnight.